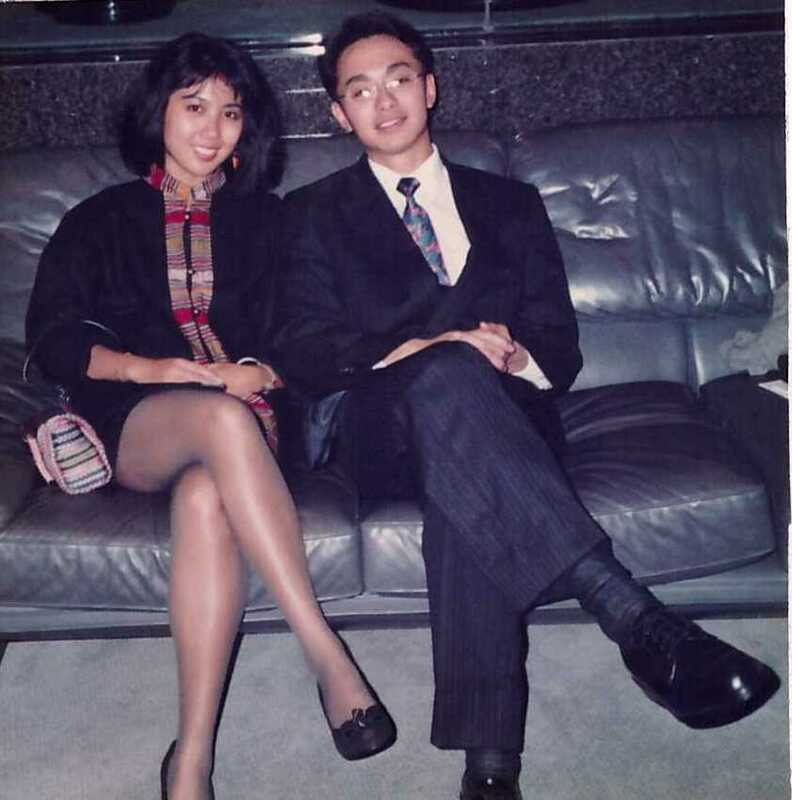 For those who read my earlier post, I talked about the fact that Moon and I have been married since the very last day of 1992. Getting married is not a small matter, right? Many of my friends spent years trying to find their soulmate. Some of them are still looking for that special one. Some have found one (or a few) but have never really committed to get married. 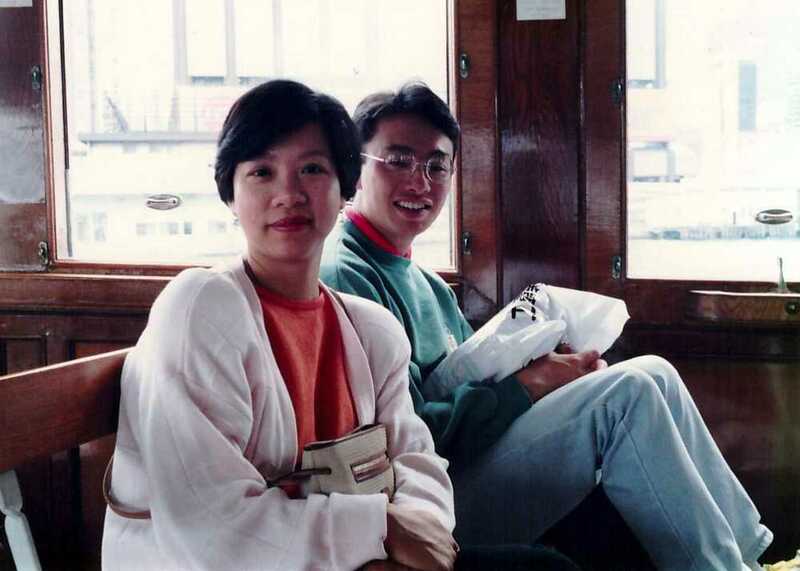 I first met Moon in 1988 when I was in my third year of dental school at the University of Hong Kong. I was then in Singapore on an exchange program with the National University of Singapore’s dental school. She was having a holiday in Singapore (she was based in Malaysia). We met at a mutual friend’s birthday gathering. Moon has no name in Chinese but she has a very lovely name: Moonlake Love Lee. We remained pen pals for a long while. I had my volume of letters written. I would be lucky to get one response from Moon for X number of messages I sent. I had licked many stamps and aerograms… For those who are in the newer generations, you may have to google the meaning of ‘aerograms’. To cut short the story a little, she visited Hong Kong a few days after my final examination and she attended my graduation dinner at the Royal Hong Kong Jockey Club in Shatin, Hong Kong. Following that, we both went to school in USA in 1990 (100% a coincidence) – I was at Northwestern University in Chicago while she attended Rutgers University in New Jersey. I later moved to California to do my residency at UCLA Medical Centre – we were then at opposite ends of the USA, and three hours apart by time zone). Close to the end of 1992, we decided to get engaged. I never really h ad any money. Getting an engagement ring was also not within my DNA or part of Hong Kong culture. As far as I remember back then, people in Hong Kong didn’t generally get engaged before they got married. Being a prosthodontist, I had an unfair advantage – We are specialists in making teeth. We study sculpting, casting, and polishing dental gold all the time. Over the years, I accumulated a little collection of gold dust from my laboratory work. As a Prosthodontist in the subspecialty of Maxillofacial Prosthodontics, I was trained at ULCA in making impressions and casts of any body parts. Well, I finally found another a good use of these resources – I made our engagement rings using my small gold dust collection and a stone cast of Moon’s finger from dental impression material! Now, what if it did not fit? Well, the ring could easily be resized by soldering it and the know-how I had was handy. What if the ring was not ‘round’? Well, life is full of imperfections anyways, so we just need to learn to live with it. I did it this way, firstly, because it was special – how often have you heard of engagement rings being made by the man? Secondly, I needed no outlay of cash and skipped the tedious work (hard work to me) of looking for rings. I was all set! The story was that Moon and I (plus her sister, Belle and her friend, Wai Kuen) drove a rental car to Toronto, Canada for Christmas in 1992. We also had a little year-end holiday after our engagement and Moon’s church pastor in New Jersey, Harry Skeele had given us a blessing on our engagement, which was very special to us. Harry asked when would be our big day and we said it would be a while from then due to various reasons. Harry looked at us a little in shock. He probably knew we were out of our mind and then he gently told us that he ‘in general did not advise a long engagement’. Alright, we heard him. He would not have guessed that we ended up taking his advice and were engaged for all of 11 days!!! Over a dinner on December 23, 1992, she quietly asked what our plans were after our engagement. We told her that Moon would probably return to Kuala Lumpur, Malaysia for a while and I would start off my work life in Toronto and then later get Moon to move to Toronto after I was more established in my career. Jennifer, as usual, within a fraction of a second, said: “Why don’t you just go ahead and get married? And by the way….” By the way? What?